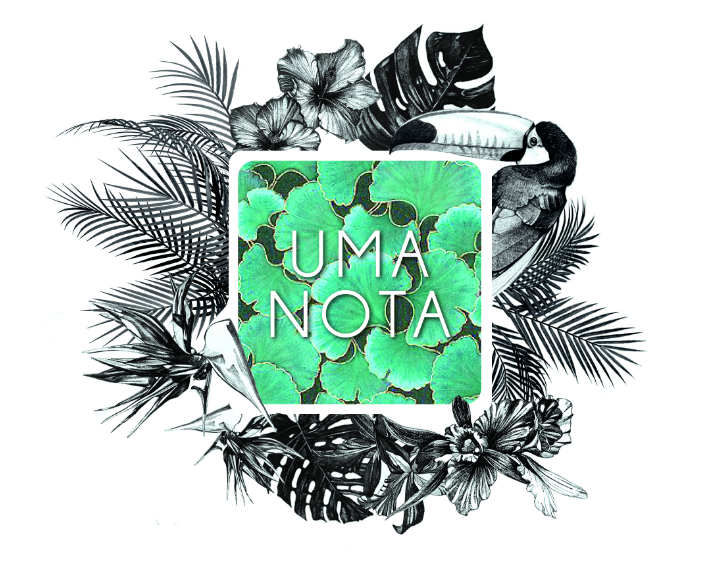 (Hong Kong, 12 February, 2019) This March, Uma Nota celebrates its 2nd anniversary with a not-to-be missed Carnaval Brunch. 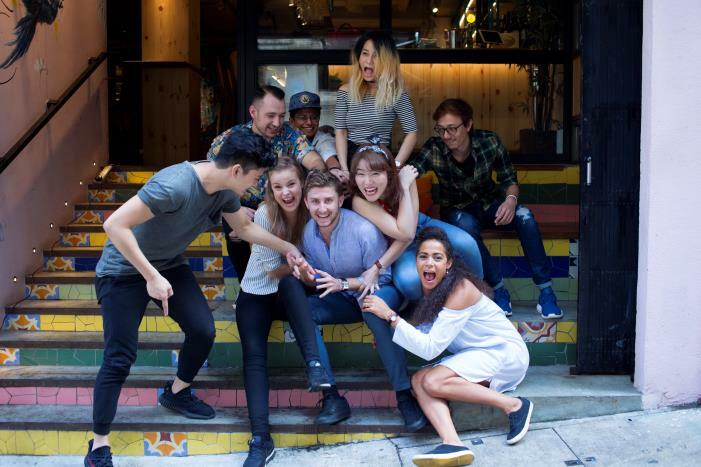 On Saturday March 2, the restaurant will welcome brunch-goers and Uma Nota fans to an explosive Carnaval celebration and will give away 100 caipirinhas to mark two years of the lively Brazilian-Japanese boteco in Hong Kong. Free caipirinhas will be given to the first 100 cachaça lovers who join the party on the famed colourful restaurant steps, between 4-5pm. Since opening its doors in March 2017, Hong Kongers have been huge fans of experiencing Brazilian Japanese culture. The restaurant has impressively sold over 11,761 classic caipirinha cocktails and has used more than 3,675 limes and over 118kg of sugar in the making of its signature serve! 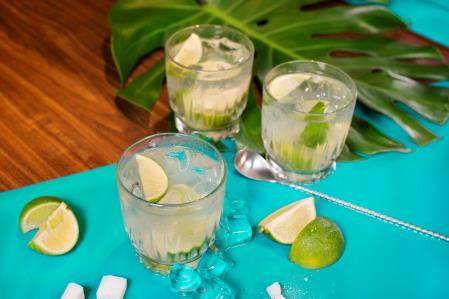 Created with São Paulo’s spirit of choice cachaça, the classic caipirinha will be served with a fruity twist. To celebrate this special birthday, Uma Nota welcomes the first 100 guests to claim a limited edition watermelon flavoured free cocktail. The popular Carnaval Brunch takes place the second Saturday of every month, bringing an electrifying atmosphere to Peel Street, with the spirit, colour and flavours of Brazil simply pulsating from the venue. Guests are encouraged to dance and join live drummers with shakers, feather masks and flower crowns, after a free-flow feast of Brazilian favourites made for sharing. Menu options include signature dishes like Coxinhas de frango, golden chicken and okra dumplings and the whole Grilled Seabass in banana leaf filled with fried banana and cassava farofa, only available at weekend brunches. On March 2, the Carnaval brunch will round-off by 3pm, and the party will continue late into the night with the restaurant’s second birthday celebrations bringing the party to the streets in true Brazilian style. **Dietary requirements must be specified at the time of booking or 48hrs prior otherwise cannot be accommodated on the day. Uma Nota is a modern boteco, which in Brazil is traditionally known as a meeting place for those looking for a refreshing drink and good street food in a fun, easy-going setting. Nestled at the corner of Hollywood Road and Peel Street, the Brazilian Japanese restaurant & bar brings São Paulo’s Nipo-Brasileiro street food and cocktails to Soho. Offering a unique twist to a long heritage of Japanese migration to Brazil, the restaurant has adapted a menu to include local ingredients featuring dishes that combine Japanese cooking techniques with fresh, authentic and unique São Paulo flavours. Uma Nota is unpretentious, open-minded, and lively. This is reflected in its design, its food, its drinks and its vibe; playing music that is a mix of both old school and modern Brazilian, Latin and International beats.